The Blues Magoos launched their recording career with a major smash, hitting the Top Five with the brash garage-punk anthem "(We Ain't Got) Nothin' Yet." 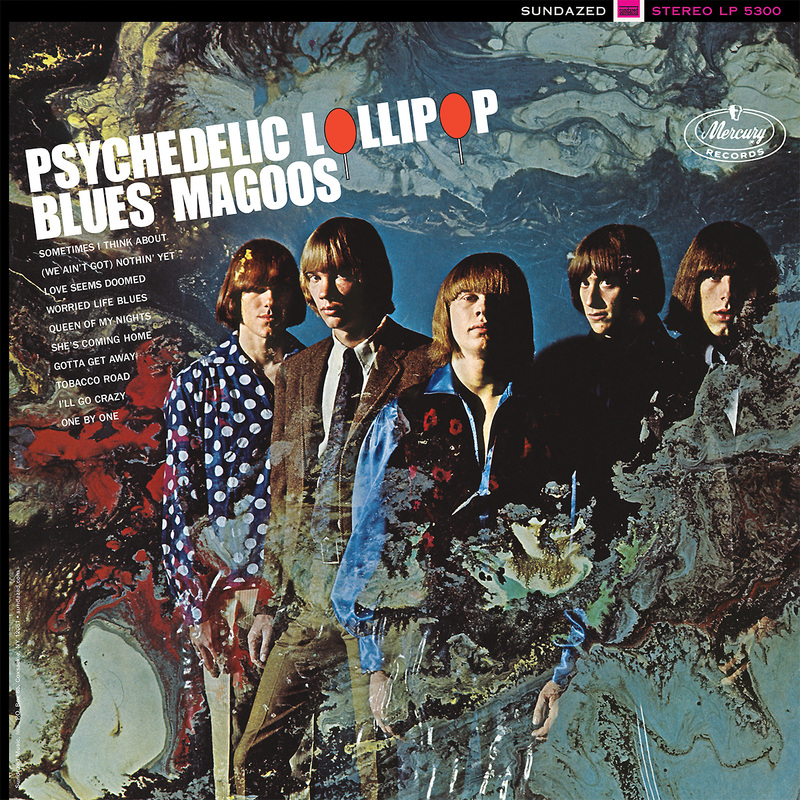 That tune is just one of the multiple pleasures of Psychedelic Lollipop, notable as one of the first albums (along with the 13th Floor Elevators' debut) to use the word "psychedelic" in its title. The band balances swaggering proto-punk attitude, a Beatlesque pop sensibility and adventurous acid-pop experimentalism on such tunes as "Gotta Get Away," "One by One" and "Love Seems Doomed." And the Magoos' high-energy workouts on James Brown's "I'll Go Crazy" and John Loudermilk's "Tobacco Road" rank with the greatest versions of those much-covered garage-band standards. This '60s garage-psych nugget is now available on Sundazed as a Limited Edition compact disc (1000 copies only!) sourced from the original Mercury-label stereo masters, with the colorful original cover art meticulously reproduced. In their '60s heyday, the Blues Magoos were one of the first garage-punk bands to achieve mainstream success, and one of the first to embrace psychedelia. Early in their existence, the Bronx-bred quintet's high-energy live sets made them a popular attraction on the Greenwich Village club scene. Once they began making records, they quickly emerged as one of one of the earliest and most inventive exponents of the psychedelic sound. The band's 1966 debut album Psychedelic Lollipop and its 1967 followup Electric Comic Book, are two of that period's most beloved and enduring albums.